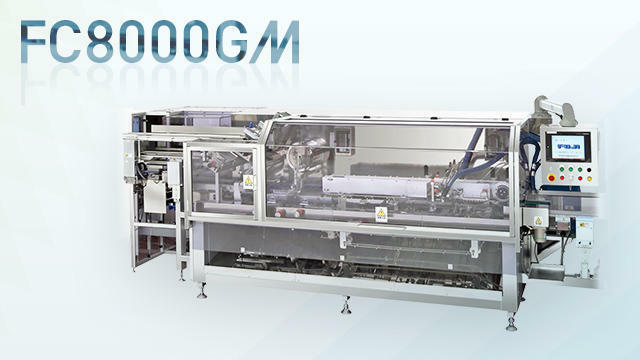 FC8000GM which realized the time shortening of product switching | Cartoning Machines | FUJI MACHINERY CO.,LTD. This intermittent setup cartoning machine improves work efficiency, guarantees repeatability, and shortens product changeover time. The multiaxial servo streamlines the actuator, allowing for a minimum number of parts.